That the desperate 911 calls cause the gut to contract in repulsion ten years later is perhaps more illuminating than the musical vehicle that delivers them. 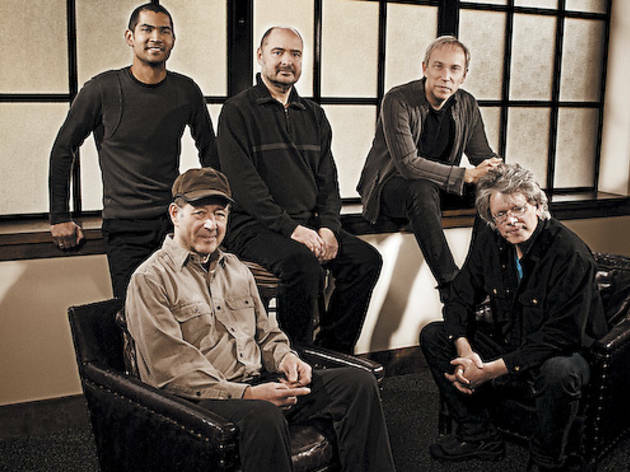 Not since Lara St. John wore her violin as a bra on Bach Works for Violin has there been such a public kerfuffle over classical cover art as with Steve Reich’s latest, WTC 9/11 / Mallet Quartet / Dance Patterns. The image of the second plane hitting the towers was replaced after the uproar. For all the hubbub surrounding the cover, “WTC 9/11” makes up less than half of the album. Reich’s “Mallet Quartet,” scored for two marimbas and two vibraphones, acts as a jaunty palate cleanser before the closer, “Dance Patterns,” which was penned for a Thierry de Mey film. Yet both have difficulty finding their place after the emotional wreckage of the primary work. Much like the composer’s “Different Trains,” which follows train passengers, including those on a Pullman porter and concentration camp victims before, during and after World War II, “WTC 9/11” harmonizes with 911 calls, first responder radio chatter and interviews in rhythmic unison. The effect propels the voices to the aural fore. Repetition heightens the immediacy of the terrified and distraught speakers. The most effective use of this device occurs at the outset of the piece, violin détaché strokes paralleling the beeping of a dead phone line. Scored for three quartets, here performed by the Kronos Quartet, the musical accompaniment sounds less collaborative than supportive, which, given the nature of the text, is probably for the best. That these desperate calls cause the gut to contract in horror ten years later is perhaps more illuminating than the musical vehicle that delivers them.